A new campaign looks to the EU to tackle North Korea’s alleged slavery. North Korea’s alleged crimes against its own people, from torture to summary executions and forced abortions, generate no shortage of publicity and discussion. But in the many words written and spoken about such abuses, there invariably lingers an air of futility about the prospects of any meaningful action against them. Even last year’s landmark UN inquiry into the country’s human rights record was tempered by the understanding that China, and possibly Russia, would veto any move to hold the regime to account at the International Court of Justice. Now, a group of academics, activists, and legal experts is hoping that by taking an indirect approach, they can have a concrete impact on one of the regime’s many human rights violations — the alleged use of tens of thousands of forced laborers abroad. The issue was coincidentally thrust back into the public eye last week in a speech by the UN’s special rapporteur on human rights in North Korea. Marzuki Darusman said more than 50,000 North Koreans are being used to earn hard currency for the regime in numerous countries, sometimes making as little as $120 a month and working for up to 20 hours a day. Rather than target North Korea directly, the latest campaign, which is being led out of Leiden University in the Netherlands, intends to hold firms within the EU legally responsible for hiring North Koreans or otherwise facilitating labor abuses against them. 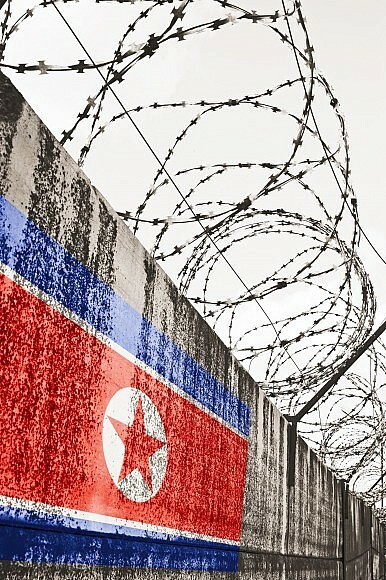 Remco Breuker, who has a leading role in the project, said EU countries are more likely to be more responsive to legal pressure than a recalcitrant North Korea, or China or Russia, which employ the most North Koreans. Stressing that he was not jumping to any conclusions, Breuker said the project, dubbed “SLAVES TO THE SYSTEM: Locating Responsibility for Forced Expatriate Labor Practices by the Democratic People’s Republic of Korea (DPRK),” would first investigate if North Korea’s use of labor abroad was in violation of international and EU labor law. Any evidence would then be passed to lawyers specializing in labor law for use in legal action. Breuker said the group was only formed in the last fortnight and was still coming together, but already included academics, legal professionals, and activist groups, including the European Alliance for Human Rights in North Korea and NEW FOCUS International, another North Korea-focused NGO. While he stressed that no conclusions had been drawn ahead of their research, Breuker said some countries of interest might include the Netherlands, Poland, Malta, and the Czech Republic. Breuker said he was hopeful of effecting change for North Koreans where others had failed — but felt compelled to try regardless of the potential outcome. “This is about structural human rights abuses on an unimaginable scale. So even if this would be completely futile, I’ll still be in favor of doing it,” he said. North Korea's human rights situation is highlighted at the UN Security Council and in a recent UN report.